Did you know acquiring a new customer costs a business about 5-10 times more than selling to an existing one? On top of that, the average current customer tends to spend 67% more than a new one. While every dining and entertainment business needs to focus on procuring new clients, don’t commit the cardinal sin of ignoring the potential money right under your nose: your loyal customer base. With notable statistics like these, it’s essential to consider what your company is doing to keep your existing customers coming back for more. And, if you’re like millions of marketers, your business has implemented a customer loyalty program. Loyalty programs aren’t just a way to give out free bowling games or half-off appetizers. When used effectively, they can be a powerful marketing tool that benefits your customer while increasing your ROI, harboring brand loyalty and attracting a new client base. Let’s talk about why loyalty programs are great for business and how you can create one that meets your customers’ needs. Perhaps the greatest thing about rewards programs is that they truly benefit everyone involved. The customers are rewarded and/or motivated to come back and the business enjoys consistent sales. Creating a compelling customer loyalty program also provides more interaction and engagement between your staff and customers. Your staff will likely introduce and explain your loyalty program to your customers, so make sure they’re excited about it too. If your staff represents your brand well, your customers are more inclined to be passionate about it. You probably won’t be the only New York-style pizza joint in town. In light of that, offering customer loyalty cards will show clients how much you value their business and appreciate they chose you over Anthony’s Pizza down the street. These are golden opportunities to nurture relationships with new and existing customers. A loyalty program, such as “buy 4 large pizzas, get the 5th free,” doesn’t cost you much. But not having a rewards program – customers to Anthony’s, which does – will absolutely affect your bottom line. Of course, you’ll need to choose the best way to implement your loyalty program, whether via mobile devices, physical punch cards or the web, and how you will track it internally. You’ll also need to examine ways you’re going to promote your loyalty program. Will it be at the point of sale? Will there be signage in your business prompting customers to inquire? What about incorporating it into your current advertising campaign, such as a direct mail program? The simple fact is, companies that use customer loyalty programs thrive. Why? It’s a simple and inexpensive initiative that creates a win-win situation for everyone. Loyalty programs for small businesses offer incentives for customers to return. Happy customers, and loyalty cardholders, can also become your brand advocates, increasing your exposure and boosting your reputation by word-of-mouth marketing. Take, for example, Celeste, bowling with a group of friends. When everyone goes up to the counter to pay, Celeste gets a free game because she hit her 9th punch, and the 10th game was free! Her friends, also looking for a free game, will likely sign up for the rewards program. Not only does the bowling alley now have Celeste’s repeat business, it has her friends coming back to bowl as well! That’s what we like to call a strike! Furthermore, and we highly suggest this, use loyalty programs that require customers to “sign up” to grow your customer database for future marketing opportunities. According to Marketing Sherpa, 72% of people like to receive brand-related content via email. Members of your loyalty program are 40% more likely to open your promotional emails and 20% more likely to click on the links within these emails to access your website. Since these customers willingly gave you their information, they’re more likely to be OK with you reaching out to them from time to time. After all, they clearly find value in your company and you’ll probably have some great promotions in those newsletters! There’s another new player in the game: the smartphone. A survey from mobile marketing company Vibes found more than 6 in 10 smartphone users in the U.S. subscribe to mobile messages for deals. 55% said they did so for loyalty points. 31% used a brand’s mobile app to access their rewards. With technology today, everything we need is at our fingertips. While not a deal breaker, it’s worth considering getting a loyalty card app or another way for customers to access your loyalty program on their phones. The bottom line is, you should really have a mobile-friendly or responsive website, or you’ll be missing out on some serious business. A 2018 AudienceSCAN report found 91% of frequent diners own a smartphone, 24.1% downloaded an app for a product they’re considering and 41.2% researched a company using Google Maps in the past 6 months. As you may infer from these numbers, some of the best loyalty programs have a mobile presence, as it can be imperative to the customer’s path to purchase. It’s also necessary to have a structure in place for tracking your program and validating points. Make sure all employees are held accountable for their actions and customers are earning their benefits fairly. For example, you want to avoid making it easy for customers to punch holes in loyalty cards themselves. Many companies have custom stamps or hole punchers to avoid this issue. A great way successful loyalty programs remain active is to enable the reward to be applied to purchases made online, in person or both. To see which tactic is right for your business, look at where most of your sales are coming from. If you’ve noticed that most sales are from those shopping online, strengthen your online rewards system. On the contrary, if most business is conducted in person, an in-store program may be the best fit. If, however, you’ve discovered about half of your sales are derived from the internet and half from in-store purchases, you may want to come up with a loyalty program that integrates rewards for both points of purchase. As you’ll see below, we’ve uncovered some great stats about the dining and entertainment industries as they relate to consumers and smartphones. Dining customers tend to respond strongly to ads and coupons when making a decision. Many diners are already out and about when they decide to eat at a restaurant. According to a 2018 AudienceSCAN report, 34% of restaurant goers who access information via a mobile device purchase immediately and 30% purchase within the hour. Having a website that is mobile-friendly is crucial to getting those hungry consumers! We’re also not surprised customers looking for entertainment react positively to ads and coupons when making a decision. Think of all the families looking for inexpensive things to do to keep their kids busy. A family of four planning to spend an afternoon at the arcade can rack up quite a bill. Decision-makers will always be looking for ways to save money for their households. Remember, entertainment is a luxury, not a necessity. If you don’t give consumers a compelling reason to enter your arcade — chances are, they won’t. According to a Colloquy Customer Loyalty Census, U.S. consumers hold 3.8 billion memberships in loyalty program. On average, that’s 30 programs per household. 39% of respondents said they participate in loyalty programs because they offer great discounts. But 57% said they left a program because it took too long for them to earn rewards. While it can be inexpensive to implement, if no one’s using your loyalty program, it’s a waste of time! We’ve outlined a few successful loyalty programs and ideas you may want to mirror when creating the foundation for your own customer loyalty program. This is the most common loyalty program on the market. Customers earn points with every purchase and eventually get to redeem those points for a discount or freebie. One thing to remember is to keep it intuitive. …that’s more of a headache than a reward! Ulta Beauty’s Ultamate Rewards program is one of the best in retail. 90% of Ulta’s sales come from its loyalty program. So, what makes it so great? Ulta gives members 1 point for every dollar spent. At 100 points, a member receives $3 off their purchase. For 250 points, they receive $8 off. Members can receive as much as $125 (the limit) off after acquiring 2,000 points. That’s not all. After you spend $450 in a year, you get bumped up to platinum level and earn 1 point for every $1.25 spent. When a member reaches $1,200, they earn 1.5 points for every dollar spent. Ulta also has flash sales where members can earn bonus points or free gifts. You can download its app and easily keep track of your points progress too. Members are sent up to 15 catalogs a year that include $3.50 off coupons. And yes, you can combine them with the money earned on your points! Local businesses without the technical capabilities to build a loyalty rewards app or the budget to send out 15 stand-alone catalogs can affordably reward consumers with coupons in a shared direct mailer like Valpak! Keep in mind, if you’re looking to do a points-based program, make sure the conversion is simple. Another great example of a successful, yet simple, points-based system is the My Starbucks Rewards program. Starbucks attributed its rewards program to a 26% jump in profit and 11% rise in total revenue. 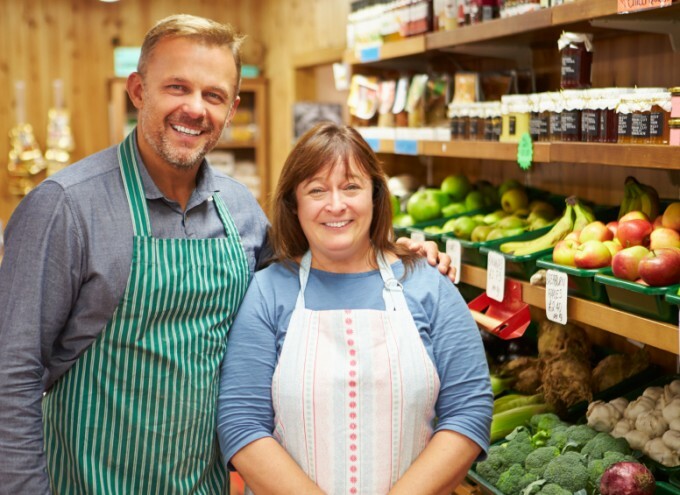 Partnership programs (also known as coalition programs) can be a wonderful way to keep a customer’s business local. But finding a strategic partner requires understanding your customers’ lives and their purchasing habits. In town, there’s a pizza store and Italian ice cream shop right next to one another. And it’s kind of turned into a tradition; if you’re going to get pizza at Lazy Moon, you’re getting dessert at Jeremiah’s. Why they never implemented a coalition program is befuddling to us. It’s a golden opportunity to keep customers coming back. For example, Karen has plans to get ice cream at Jeremiah’s with her friend Karlee, Tuesday after class. Karlee, instantly connecting Jeremiah’s with Lazy Moon, suggests that before they do dessert, they get some pizza to receive a discount. 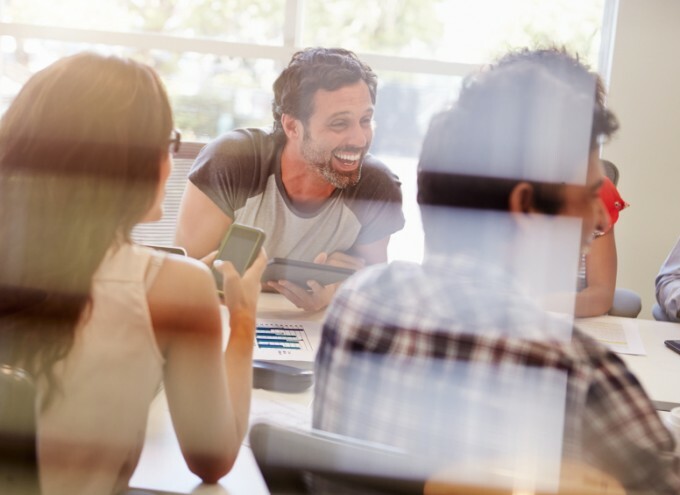 Not only do these programs offer customers value for something that’s relevant to them, but, beyond the scope of what your company alone can offer, they also help you grow your network to reach your partners’ customers too. It’s no secret every business needs to acquire new customers. We just don’t want you to neglect your easiest and most-predictable source of revenue: you’re current and loyal customers! With the cost of acquiring new customers growing, it’s time to put some energy into growing and maintaining the relationships you’ve already started with a customer loyalty program. The reality of it is, targeting already-loyal shoppers with exclusive offers based on their buying habits is a win for everyone involved. 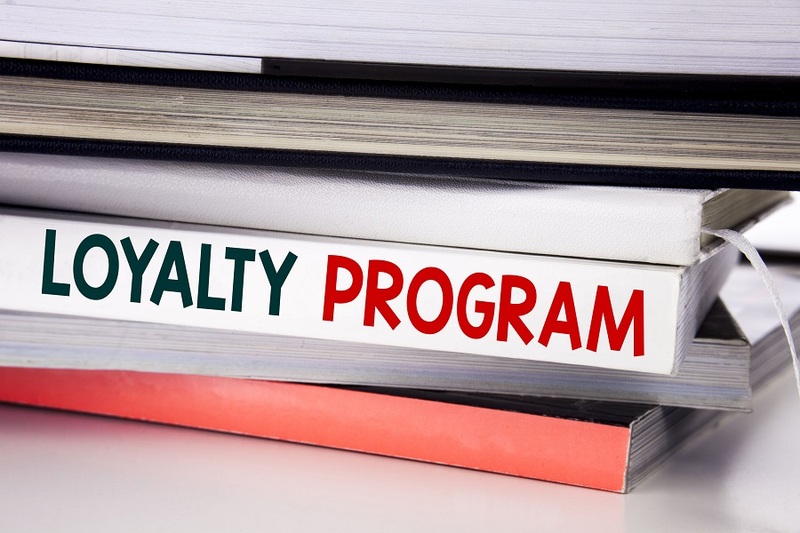 Has your team attempted a loyalty program before? If so, identify the pros, cons and ways in which you can improve. Take note of what worked and what didn’t and use that to create the foundation of a new and improved program. Make sure to have a reporting structure in place to track reward redemptions and completed cards. Identify and correct holes in your system. Look at program sign-ups that require shoppers to fill out a form to participate. Having this information enables you to create a strong customer database for future marketing opportunities. What are they doing well and what can you do different or better? Mobile options for rewards programs are great, if possible, but not critical. If you don’t have the funds or tech savvy to implement, don’t let that hold you back. Think about incorporating an online rewards program (if most of your sales are via the web). If you found that most clients shop in store, maybe an in-person program is all you need. Evaluate options when it comes to rewards programs. Which type would best benefit your customers? There’s a variety of programs, such as point systems, games, partner programs, etc. What is most intuitive for your demographic and mutually beneficial? One of the best ways to increase brand loyalty is to be loyal to your customers! A rewards program will keep them coming back while increasing your bottom line. It really is a win-win!